The environment is where we all meet, where we all have a mutual interest. It is one thing all of us share. Being kind to the earth is an important consideration no matter what it takes, and teaching kids to be eco-friendly is especially important. For years, finding organic food and clothing has been a familiar task, but nowadays being eco-friendly has crept into many more aspects of our lives. Life is a process of constant learning and those who are learning the most are children. Parents are the role models for their kids. They learn best by watching and interacting with their parents. 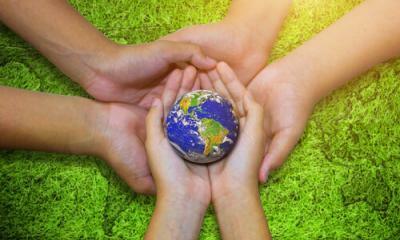 As parents, we need to teach them about how to take care of the planet. If we want to our children to be aware of how important the earth is, we need to teach them with our actions and our words. Most of the time kids need motivation and inspiration through words and actions. Tell them that they cannot get through a single day without having an impact on the world around them. What they do makes a difference, and they have to decide what kind of difference they want to make. Set examples for them and demonstrate how to live in an eco-friendly way. Read them books and stories about nature and the environment. Choose books that talk about trees, or about how important recycling is, or what animals do. This will bring a sense of awareness to them and will also encourage them to love nature. Teaching your children about reusing and recycling materials is an art in itself. Boxes, wrapping papers, toilet paper rolls, and plastics can be reused for special purposes. Help the kids to make creative and decorative boxes that they can use for school stationary, closets, or elsewhere. Parents can also aim to use reusable items – for example, new parents could buy reusable diapers for their babies. Experience the environment in a natural state. Teach children to plant a tree, and let them experience the wonders of the nature. Tell them they can serve humanity by just planting a tree, as it gives oxygen which all humans can absorb. Tress can also provide fruits, vegetables, fibers, wood, and a shelter for animals and birds. There is a famous quote: “He, who plants trees, loves others beside himself.” – Dr. Thomas Fuller. Trees help cool down the earth and air around them. An average tree can remove one ton of carbon dioxide from the earth. Trees can help you find your way if you get lost in a forest. Just like humans, trees need water to survive. Parents should do gardening with children so that they can work together to decide what vegetables to plant and where to plant them. Families can have their own beans, lettuce, and carrots, and kids will feel a sense of pride in growing food. We should give some independence to our children while performing certain eco-friendly tasks. Kids can be taught to independently turn off the lights when they are not being used, unplug devices that are not being used, turn off the water-tap while brushing their teeth, or open the windows for a fresh breeze. This will can a sense of responsibility and a connection towards eco-friendly living. Send your children to a group or a community where they can independently learn with other children and share their new experiences with you. Volunteering will teach them diversity, thoughtfulness, and charity which will help children appreciate all that they have. 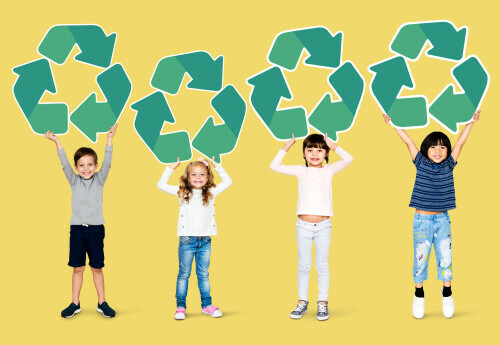 Parents can send their children to eco-friendly summer camps where they can take a closer look at nature and take part in beach cleaning or planting activities. Explain to children that they can buy more eco-friendly items, whether it is clothing, toys, or other items. Years ago, it was hard to find eco-friendly clothing and toys, but now we are blessed to have numerous shops and online shops. Teach children to find deals and coupons online rather than collecting them from newspapers and magazines. This way, they can learn to go paperless and also get a sense of saving money. Parents can also teach kids to shop for second-hand (reused) items, clothing, and toys. Kids can be taught how to respect the environment. It’s all about explaining it in ways that are fun, interesting, and easy to understand. Kids are eager to help, step by step. “Never doubt that a small group of thoughtful committed citizens can change the world; indeed, it is the only thing it ever has.” –Marqaret Mead.